Greater Manchester is buzzing with the arrival of the Bee in the City project and Salford Carers wants carers to join us to enjoy this new addition to Salford Quays. We have two wellbeing walks or WellBEEing (see what we did there) walks coming up in August. One will be on the the 9th August for Parent Carers and their families. Join us for a gentle walk, a lovely picnic and a chance to meet other Parent Carers. The second is on the 22nd August for carers who support anyone. 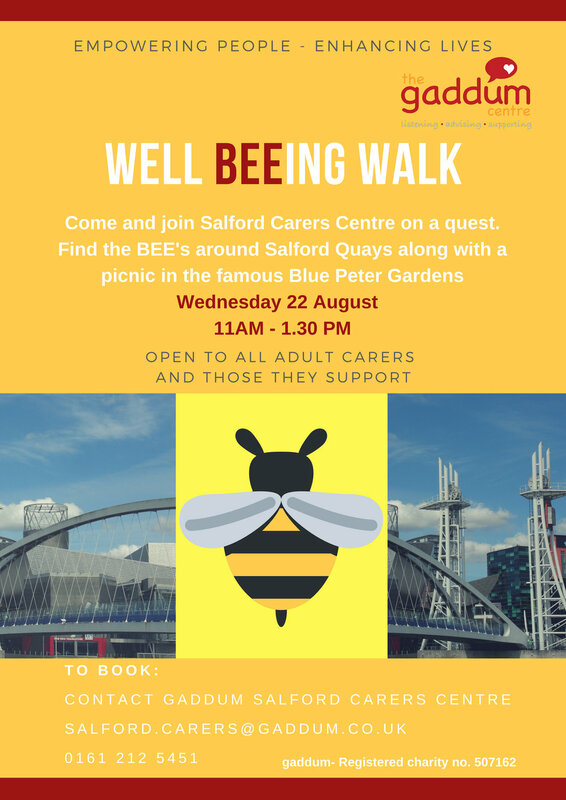 These are a great chance to do some gentle exercise, enjoy the summer weather, get to know others and enjoy Salford Quays.